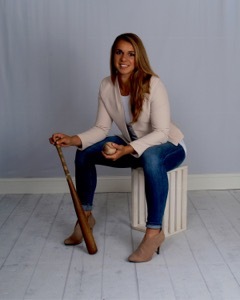 This week’s Thursday quickie is part two if my conversation with the Latin American Strength and Conditioning Coordinator for the Houston Astros, Rachel Balkovec. * Her strength and conditioning philosophy and how she transfers that to her athletes. * How she individualizes the workouts for each player and position. * The way Rachel establishes respect in the weight room. * Who her mentors are (this is very sweet). * What is next for her in 2016! This was another great talk with Rachel! She shares more stories and great advice for anyone, but especially women who aspire to be in Major League Baseball. A huge thanks to Rachel and to you for listening and subscribing to the podcast!